CLICK HERE FOR AVAILABLE HOMES AND PRICING! 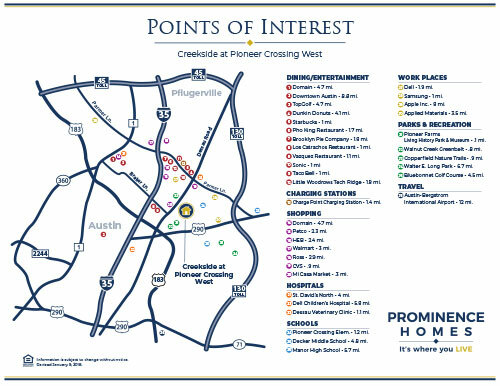 Creekside at Pioneer Crossing West is an entitled private townhome community in North East Austin in the Pioneer Crossing Development near the Samsung Semiconductor campus. 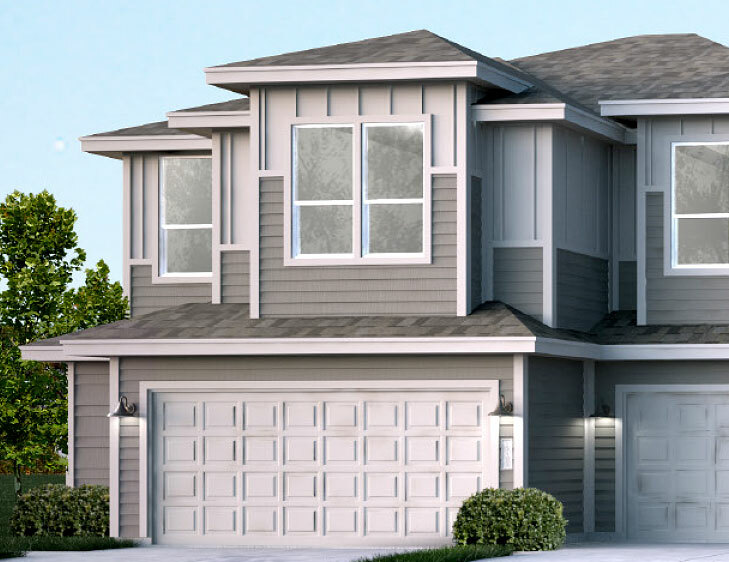 The project consists of 118 townhomes (primarily 4-plex with some 3-plex) on approximately 12.1 acres. This community is in the Manor ISD school district. The property is a short drive to Samsung and Dell Parmer South Campus, and less then 15 minutes from other major employers like Indeed, Facebook, IBM, HomeAway and many others. Shops at Tech Ridge is a large retail shopping center on the northeast corner of I-35 and Parmer Lane and includes a grocery store (HEB) and many smaller retail stores and restaurants. Just north of Tech Ridge along I-35 there is Lowes, Home Depot, Target, and Walmart, among others. There is also a Gold’s Gym nearby, and The Domain shopping center is less than 15 minutes away. Also nearby is the 290-acre Walnut Creek Metropolitan Park, which has nature trails, mountain biking trails, a public swimming pool, and softball fields. 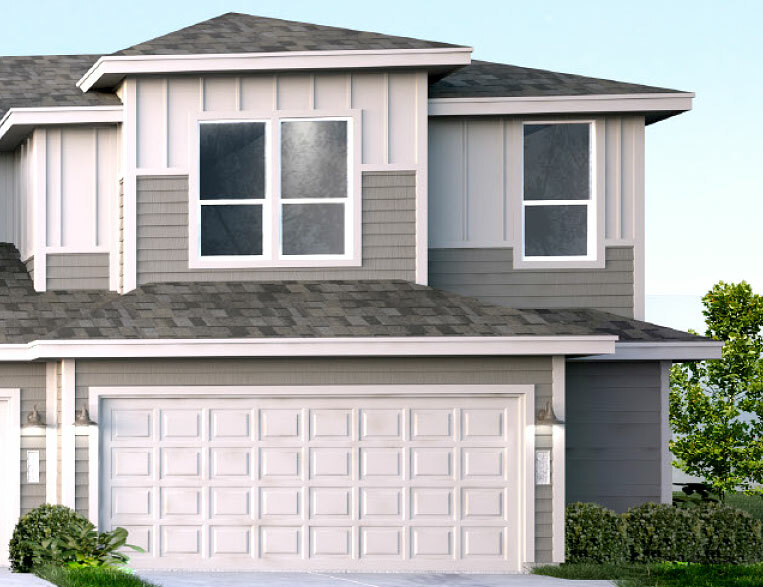 This community is locating in a growing area and is near to projects like the Parmer Innovation Center which already includes major employers (Home Depot, GM, Dell, Apple, PayPal) and 3M will be moving in along with a number of restaurants and entertainment venues. This project is slated to be the of The Domain. Other planned growth nearby includes Favor and HEB building an office space in the former Balcones Resources recycling warehouse and they expect to hire hundreds of employees. 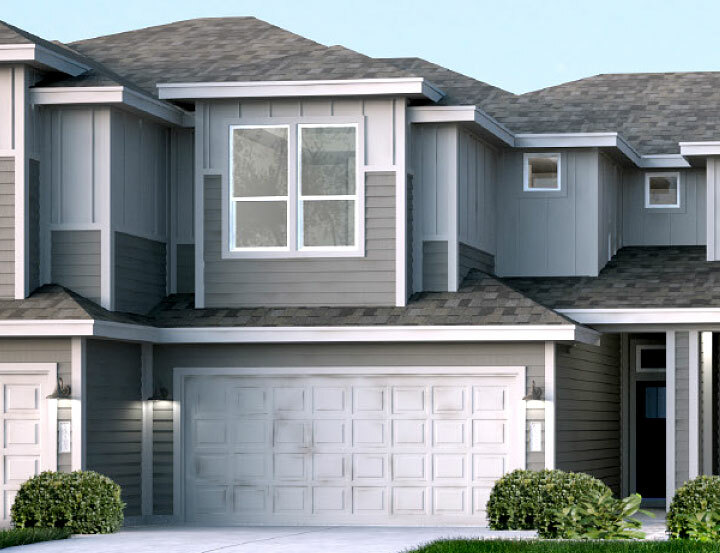 This property is a sub-association within the master association of the Pioneer Crossing West HOA. The Pioneer Crossing amenity center is located adjacent to this property and includes a large pool, playground and walking trail. 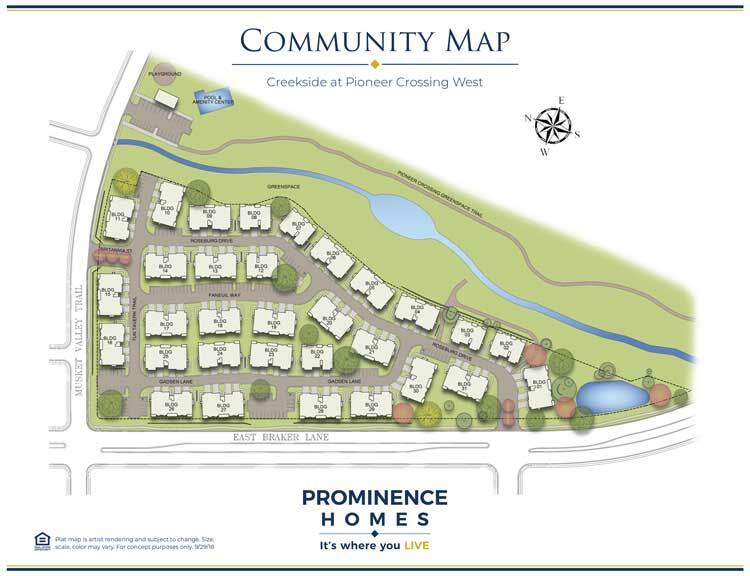 The residents of Creekside at Pioneer Crossing West will have full access to the master amenities. Creekside at Pioneer Crossing West is part of the Pioneer Crossing planned community located in Northeast Austin’s 78754 zip code near the intersection of Dessau Road and Parmer Lane, in the high tech section of Northeast Austin, near Samsung Electronics and Dell Computers. 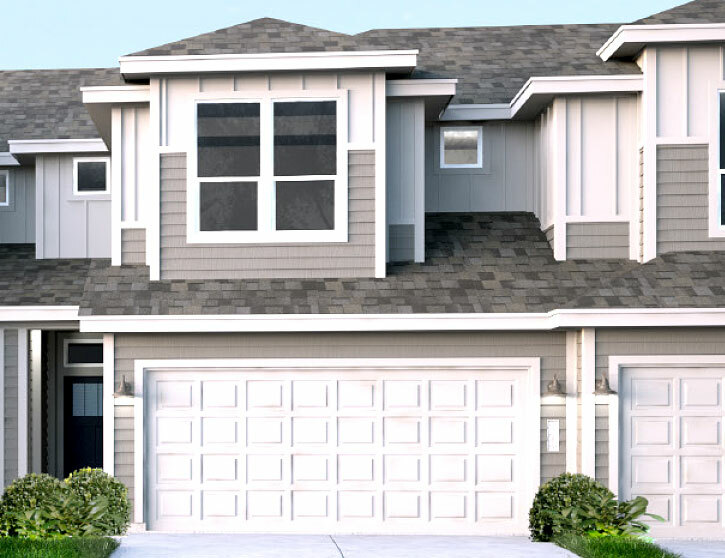 This development, consisting of 1,100 single-family homes, offers small streets, cul-de-sacs, and nature views. An amenity center with a community pool, playground, and picnic areas as well as walking trails through the surrounding greenbelt incorporate outdoor recreation into daily life. The Edinburgh – 1,603 S.F. The Aberdeen – 1,799 S.F. The Galloway – 1,672 S.F. The Alexander – 1,907 S.F.